The O. B. 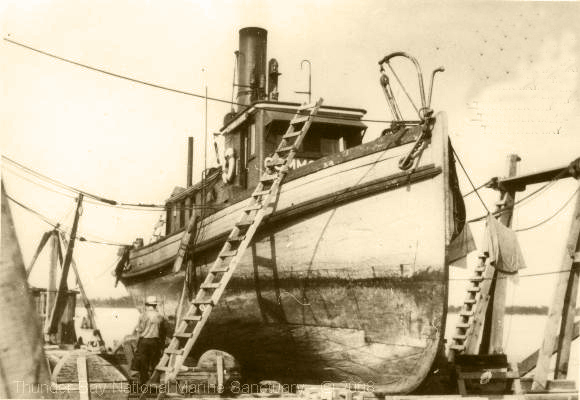 Green was the one of the first tugs built for Oliver B. Green by shipbuilder John Gregory. According to the 1874 Chicago Directory he was operating a dry dock which meant he would need tugs to bring in broken ships to repair. In May, 1865 the 40.71 ton O. B. 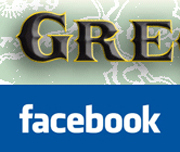 Green (US No. 18913) was launched. She had some large repairs done in 1872. During March of 1881, the tug was imprisoned in the ice off of Chicago. Fortunately she had on board a month’s provisions and five tons of coal. 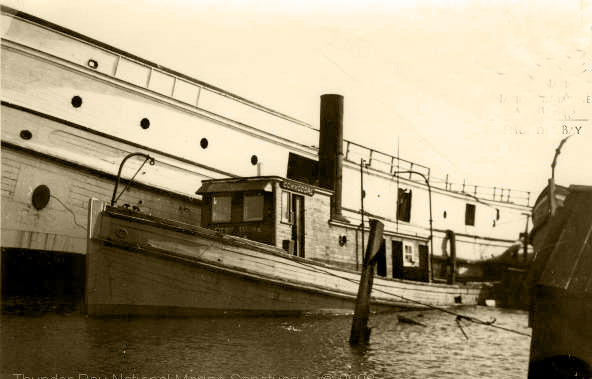 On 28 Nov 1878, she raced another John Gregory-built tug, the Alert (US No 105414) and won. She was also known as the “Old One” among the sailors, probably because a second O. B. Green was built. According to the Chicago Tribune, on Wednesday, April 1, 1881 the name and papers of the tug O. B. Green were changed. She will hereafter be known as the Commodore. Mr. Green’s new tug is to bear the name of O. B. Green. Hence the change, which was arranged by mutual consent. 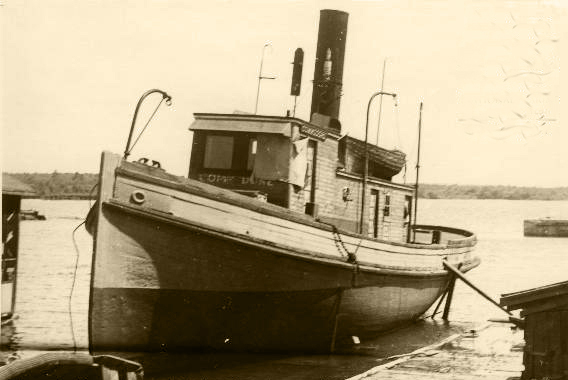 Commodore in 1950 at Thessalon, Ontario. The ship in the background is John Gregory’s G.R. Gray (US No. 2767).